This is what I do while on break. I write eHow articles on how to be fictional characters from TV shows based off young adult novels. Everyone is in love with Gossip Girl’s resident bad boy Chuck Bass. Those bow ties! That sneer! Those condescending, degrading, misogynistic quips! 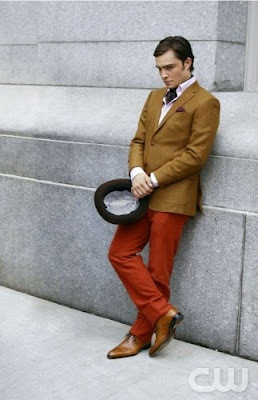 Here is the How-to on being the mythological anti-hero that is Charles Bartholomew Bass. 1.) Begin and end sentences by saying, “I am (insert first and last name)”. Don’t ever let people forget who you are. Extra points if you start referring to yourself in the third person.